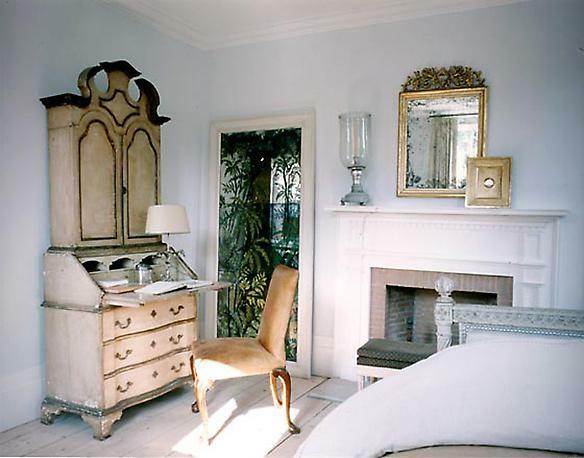 Plush Palate: Inspirational Quote: What Makes a Room Great? Inspirational Quote: What Makes a Room Great? What makes these spaces from Steven's portfolio great for me? 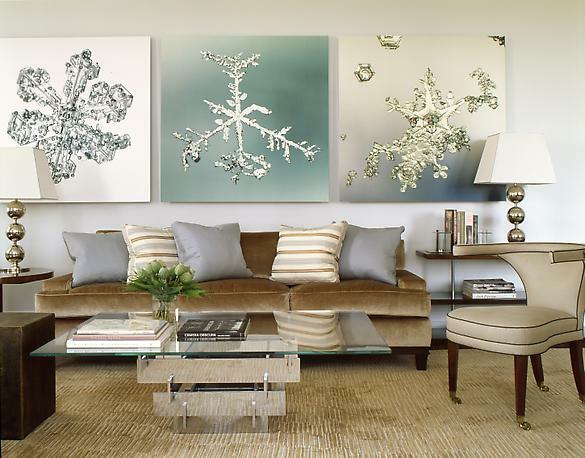 The frosty photographs and matching throw pillows. 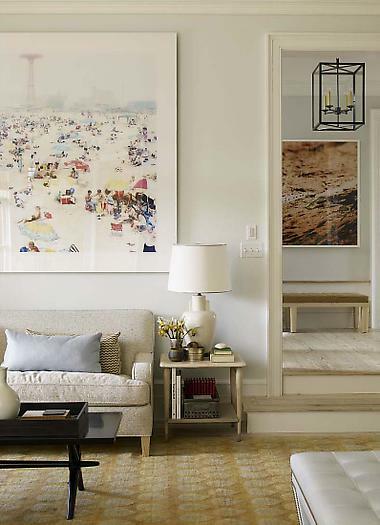 The beach scene painting above the couch. The curvy stool all by itself. The gilded mirror above the fireplace. 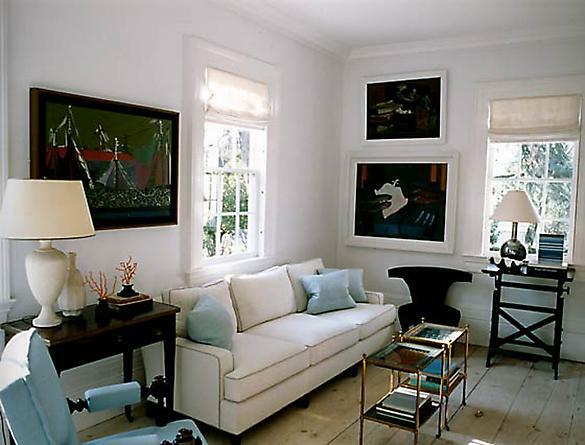 The scale of the wall art and window paired with the low sofa. The large plank wood floors. The fact that there's a desk in the living room. 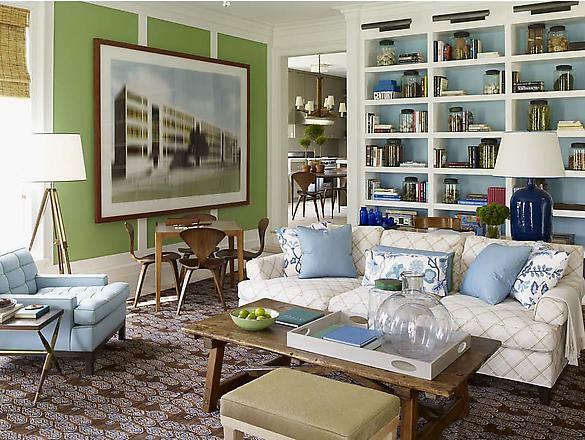 The green accent wall with paneling. I absolutely need to keep this quote in the forefront of my mind (especially as I move into my new apartment). When there are so many styles and pieces you fall in love with, it can be difficult to commit to just one. But I think if you master this, the space is all the more glorious because of it! On a side note, be sure to stop by tomorrow for Installment #3 of Fall: Get Ready/Get the Look from a special guest! If you missed the first two, you can catch up here and here! Did I miss something? You're moving into a new apartment? How exciting! You know how much I love moving. Can't wait to see it! Good luck! amazing pics! great post by the way... I love the kitchen! 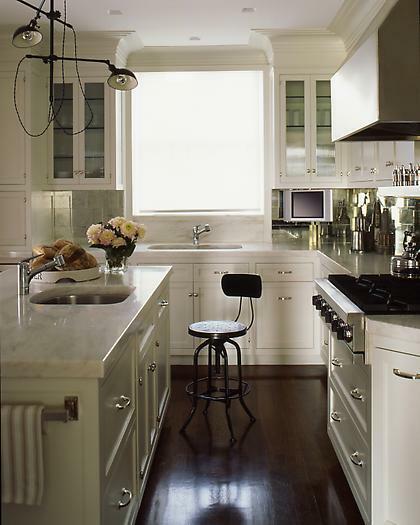 love love love the kitchen! Every time I visit your blog, I feel more inspired! To be honest, it took me 2 years to decide the look I wanted in my own space. I had some key elements in place, but mostly, it's color that seems to perplex me. I love so many color schemes right now, that narrowing down a palette was so difficult! I decided to make my own rules and have 2 color palette's instead. One for Fall/Winter, the other for Spring/Summer -- keeping the basics the same and just adding/removing accessories depending on the season. Love the snowflakes pictures...wow! I've never seen anything like that before. My husband pointed me in your direction. You just signed up to follow him on twitter this week..."leveragesalt". Where can I find those frosty photographs? They are lovely!